Witham Choral, the Colchester Philharmonic and conductor Patrick McCarthy present A Night at the Opera! A dazzling cornucopia of operatic delights including such favourites as the Chorus of Hebrew Slaves from Verdi’s Nabucco and the Grand March from Aida. Among the soloists, soprano Gill Wilson will sing Mozart’s Queen of the Night’s aria. Bootleg Boss are a seven-piece band that perform the classic songs of Bruce Springsteen & The E Street Band. If you were born to run down backstreets, across badlands and to go dancing in the dark in a brilliant disguise, Bootleg Boss is the band you need to see. Another special afternoon show from the ever-popular entertainer, Jeff Short and his Musicians, this time featuring the music of the legendary rat-pack singer, Nat King Cole. Jeff will be singing all the best-loved songs made famous by this giant of the entertainment world, including When I Fall In Love, Ramblin’ Rose, Unforgettable and many, many more. 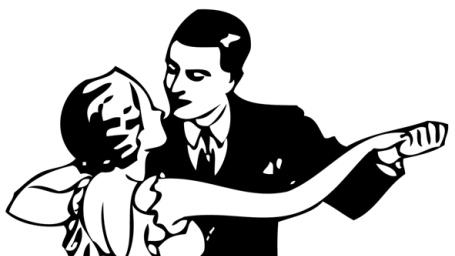 With 2019 being the 75th anniversary of D-Day w are hosting an afternoon 40s Tea Dance, sponsored by Aegon. The admission price of just £5 includes afternoon tea. The event will be perfect for those who like to dance as well as those who prefer to just sit and listen. Guests are invited to dress in 40s style. Celebrating the very best in music from America's 'Music City' this show promises an exciting fusion of pure Country gold with 'New Country' blockbusters! Guitarist, vocalist and band-leader Bob Drury, who has been selling out in theatres across the country for the past 8 years with his highly acclaimed shows, heads up an amazing cast of musicians to a deliver a set of pristine classics from the likes of Johnny Cash, Glen Campbell, Brad Paisley, Garth Brooks, Willie Nelson and Kenny Rogers. Featuring Bob's daughter Harriet on female lead vocals the band present stunning versions of monster hits from Shania Twain, Dolly Parton, Carrie Underwood, Taylor Swift, Eva Cassidy, June Carter and many more. With their combined talents Bob and Harriet also lovingly re-create vocal duets from Country's Hall of Fame. Witham’s very own Johnny Mack will be taking you through George Michael’s back catalogue of hits from his 30 year career, covering hits such as Careless Whisper and Faith. You’ll also be treated to some of Wham’s classics, including Wake Me Up Before You Go Go. With a live band and his amazing backing singers this is a show not to be missed. Get your tickets now for a night of singing and dancing. In a brand new show on the circuit Darren Page will entertain you with all of Orbison’s biggest hits, including I Drove All Night, Running Scared, In Dreams and many, many more. The memories are endless as Darren covers everything from Orbison’s early years with Sun Records to his stint with supergroup the Traveling Wilburys. Following his sell-out concert in August 2018 it was only natural we would want to see the return to the Public Hall of this legend of British Rock 'n' Roll. With fans from far and wide already booking tickets you'll need to get your order in early if you don't want to miss out! Experience the passion, power and majesty of The Who, one of the world's greatest rock bands, in an unforgettable two-hour show. Johnny Warman's Magic Bus pay tribute to The Who in their own unique way, capturing the band's pure adrenaline rush and adding their individual flair to the songs, including Won’t Get Fooled Again, My Generation, I Can’t Explain, Baba O’Riley, Pinball Wizard and many more! Not a tribute band, but the remaining members of the original 60s band with a couple of 'newcomers'. Playing all the hits that made The Kinks so famous, this band went down a storm on their first visit - expect no less for this return trip. Backed by a fabulous 7-piece band, Frankie Dean expresses the vocal quality of a young Frankie Valli that is reminiscent of his 1962 appearance on the Ed Sullivan Show. Close your eyes and it’s Frankie Valli on hits such as Sherry, Grease, Rag Doll and Can’t Take My Eyes Off You. The show will also feature songs from other 50s and 60s teen idols, including Bobby Vee, Neil Sedaka and Gene Pitney. Celebrating 40 years on the road, The Blues Band are today acknowledged throughout Europe and beyond as being amongst the very finest purveyors of rhythm & blues. Comprising Dave Kelly, Paul Jones, Tom McGuiness, Gary Fletcher and Rob Townsend, this Blues 'Supergroup' are still as enthiusiastic as ever with tickets being highly-prized for what are almost always sell-out concerts, so book early for this ever-popular band. Promising us a special Christmas show, the FOD band return to the Public Hall with their 60s Explosion. Expect all the greatest hits from iconic 60s bands including The Beatles, The Searchers, The Hollies and many more. Tributes to three giants of the Rock and Roll era on stage together: Billy Fury, Buddy Holly and the King, Elvis Presley. This feel-good show is an ideal pre-Christmas treat for all lovers of Rock and Roll. Andy’s 2018 appearance at the Public Hall was widely acclaimed and so we are delighted to announce his return early next year. This is another show that is going to sell out quickly! Witham Public Hall is operated by Witham Public Hall Trust Limited, a charitable company limited by guarantee. Registered Charity number 1139957. Return to the TOP .